Brian and I bought our first home shortly after beginning our family in 2012. We wanted a place of our own for our daughters to grow up and build memories. On a tiny wall in our small and awkward kitchen I began documenting their growth through the months and years. Something I had always loved seeing in family homes passed down through generations. So many memories were made in that first home and on that tiny span of wall. First time standing, first years, mid-year growth spurts. Those markings were a special memory of moments throughout their early childhood. When Brian took a job a few hours away, we listed our home and with that had to paint over those markings. It was probably one of the more difficult moments of that time of my life, as silly as that sounds. I was leaving a city that I grew up in, good friends that had been made over the years and memories of the early days of our growing family. Some of those most cherished memories being those markings on the wall. I would never get those days back. Since that time, several years have passed, our family has grown and we have settled into a new home. With our youngest turning two this past May, I came to the sad realization that our four girls are growing up too quickly and it's about time I started documenting it all again. This past February I met Lauren, owner and creator, of White Loft in passing at the Palm Springs airport following an event that we had both attended. I had long admired her shop and we exchanged information before heading to our separate gates. 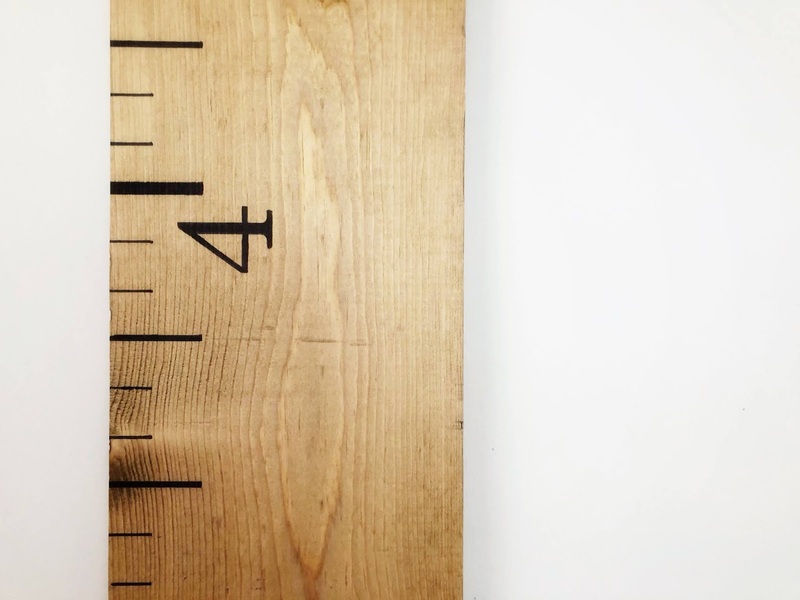 Lauren was so kind to send us one of her growth charts in summer oak finish for us to start making these memories once again. 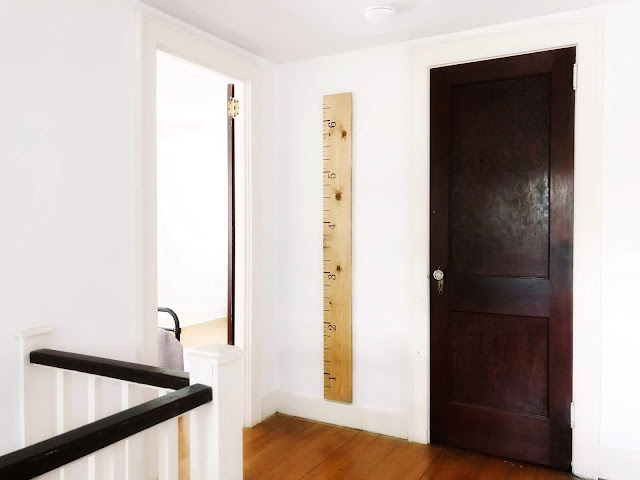 While I can't get back what we left, I am beyond excited to start making new memories of growth and change with our new White Loft wooden growth chart. It is something that will be cherished for years to come. I look forward to preserving these times while they grow. Use code JENNA through June 30th for 15% off your purchase!